June 2013 was the final month of my busy Arabic mentorship with Professor Paul Starkey, during which I translated excerpts of novels by Ibrahim Eissa, Youssef Ziedan, Fadi Zaghmout, Mustafa Khalifa and Ezzedine Choukri Fishere, a poem by Ahlam Zaraa, a film script by Gazan scriptwriters Tarzan and Arab, and short stories by Leila al-Othman and Ibrahim Aslan. 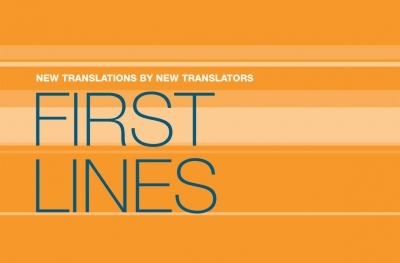 You can get a copy of First Lines, a journal showcasing the work of all of the mentees, from the BCLT. I’m also very happy to provide a PDF copy of the sample translation I completed for this publication: two extracts from Abu Omar the Egptian by Ezzedine Choukri Fishere. Update 2016: the Writers Centre Norwich has taken over the administration of the emerging translator mentorship scheme formerly run by the BCLT.